Tensions rise as China continues its activities in the South China Sea. Economists all around the world are showing signs of growing concern, stating that global economy may suffer if tensions continue to grow. How Will the South China Sea Tension Effect the Global Economy? China’s slowing economy is already posing an economic threat but the country’s ability to control economic resources may pose a risk to the existing superpower if not the entire global economy. This makes it a critical choke point that may be used to manipulate the global economy. The growing activities of the Chinese armed forces suggest that it may be getting ready to just that. Over the year many artificial islands have appeared in the region housing fully functional military installation. According to recent reports, China recently finished building a fully functional airbase that reportedly houses fighter jets. China claims that a vast majority of the South China Sea belongs to it. So whatever it is doing is perfectly legal. However, that may not be true. According to experts, China is using this as a cover to hide its real intentions. The country’s actual goal is to expand its global influence and manipulate the global economy for its own benefits while exploiting the natural resources in the region. The activities of Chinese armed forces and its growing influence in the region is of great concern to many Countries like Taiwan and South Korea who are greatly concerned as this is their main trading route. If China denies them access to this trade route, their economy will suffer greatly. They have asked the US and its allies to help ensure this does not happen. According to business experts, the number of US-bound goods passing through the SCS have exponentially increased over the year. 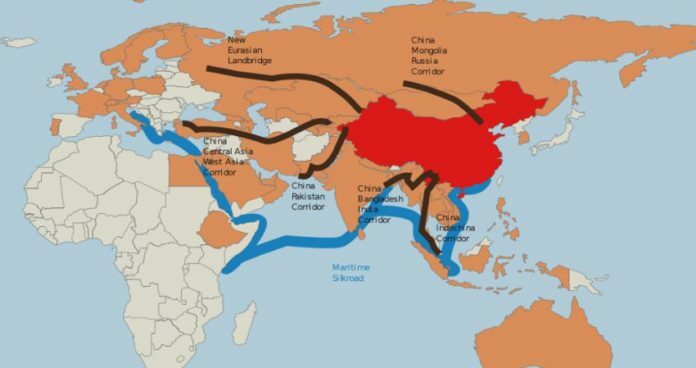 A strong Chinese foothold in this region poses a significant threat to the US as China may use it as a choke point to get the US to agree to its terms. Hence challenge the US position on a global scale.